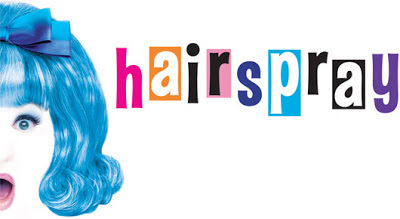 The Hairspray UK tour danced into Glasgow this week, and are making the city feel 'the motion of the ocean' until 18th May. 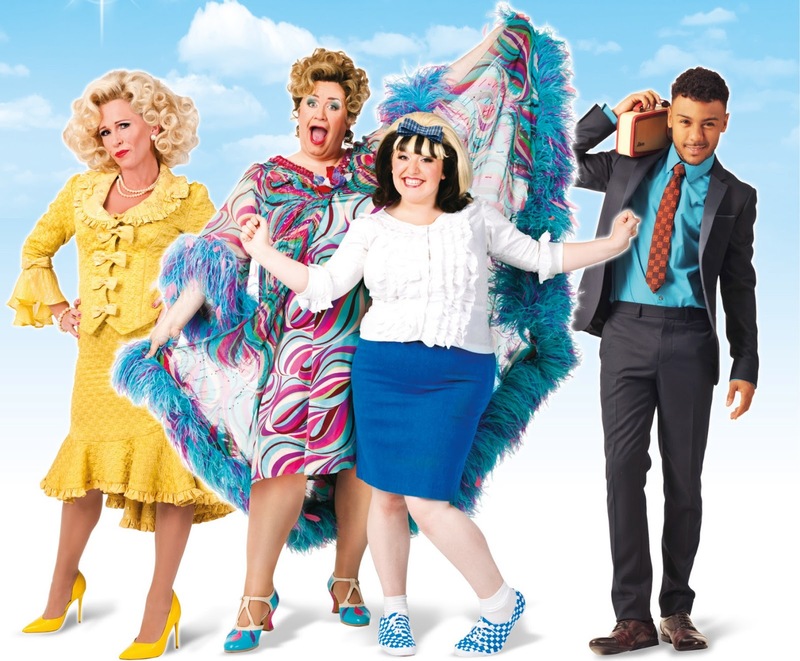 The line-up of this comedy musical with heart includes Waterloo Road's Mark Benton in role of Edna, Eastenders' Lucy Benjamin as Velma von Tussle, XFactor's Marcus Collins as Seaweed and amazing newcomer Freya Sutton as the figurehead Tracy Turnblad. The show is spectacular with excellent vocals from all of the cast (especially Sandra Marvin as Motormouth Maybelle, whose voice really touches the heart); and slick choreographed dance moves. Plus, the brightness of the set and the costumes adds a real party atmosphere. It tells the story of Baltimore schoolgirl Tracy Turnblad whose dream it is to dance on local TV's The Corny Collins Show. When the chance to audition comes up, her short and plump frame makes her the figure of fun. With help however, from her dancer star crush Link Larkin, she gets her chance, and becomes an overnight sensation. It's the beginning of the 60s' so it's time for change! Not only has Tracy got herself, a regular non-traditional beauty, on TV, she now sets her sights on stamping out the white and black segregation at the TV network, so that everyone can dance together. See the show to see how she gets on, and whether she can get super-cool and popular Link Larkin to fall in love with her. This is such a feelgood musical, and Mark Benton really steals the show with his comedic timing. Catch it at the King's Theatre (tickets range from £23.50 to £53.40) before it moves on to the Birmingham Hippodrome. If you are seeing the show in Glasgow, and want to make a night of it, we recommend dining at nearby restaurant Red Onion; which is owned by ex-private chef to Bryan Adams and Tina Turner, John Quigley. 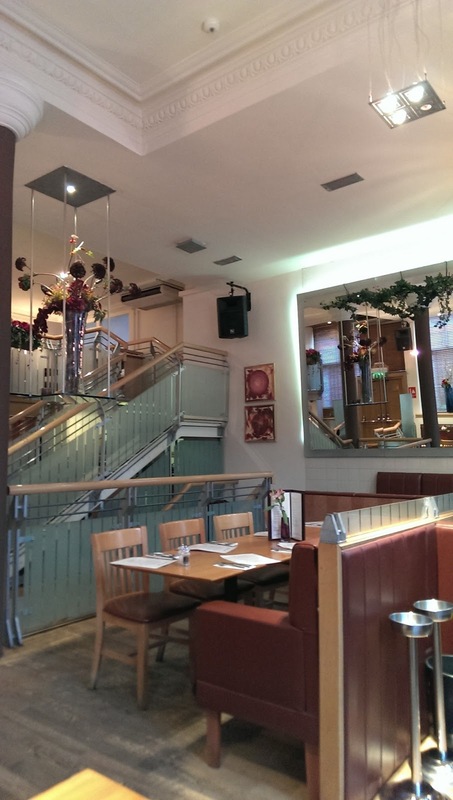 The restaurant serves modern interpretations of classic Scottish cookery, and they have an excellent pre-theatre menu with a special treat just for Hairspray ticket holders- a complimentary glass of Prosecco with the £16.95pp 3-course menu. Red Onion has a bright and welcoming atmosphere, styled with pine and red flowers. 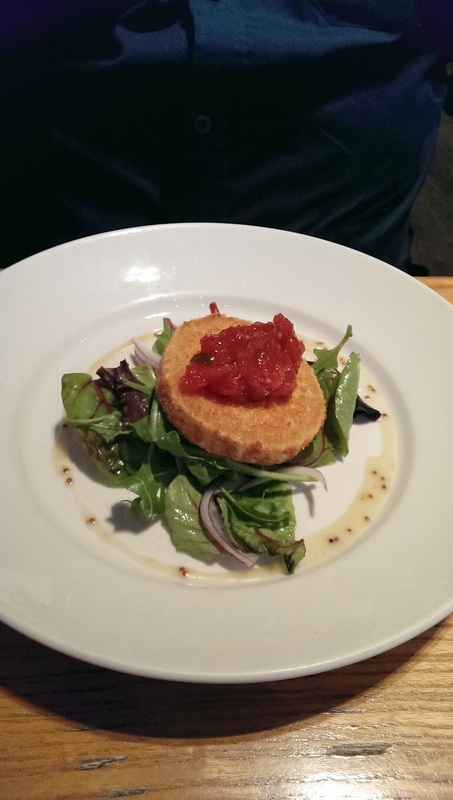 We reviewed the food on the menu last week. There is such a great variety of options to choose from. 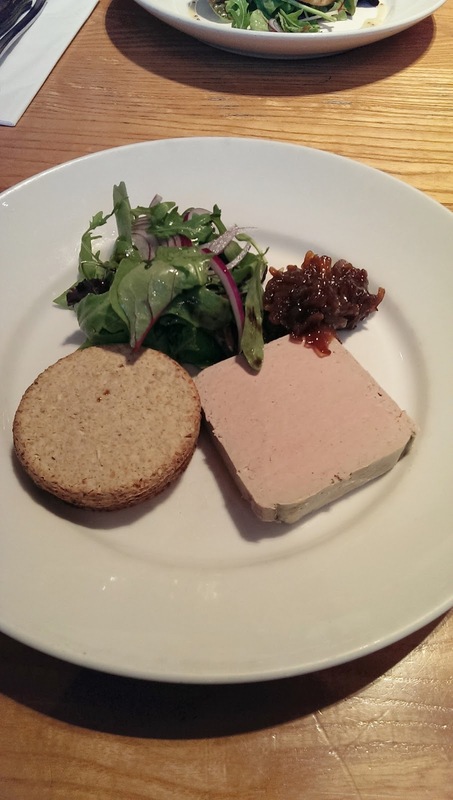 As starters we had the Chicken liver parfait with oatcakes and red onion marmalade, and the Crispy goats cheese salad with plum tomato chutney. The portions were plentiful; but just right. The chicken liver parfait has a lovely sweetness to it, and the goat's cheese had a delicious crispy coating and soft centre. 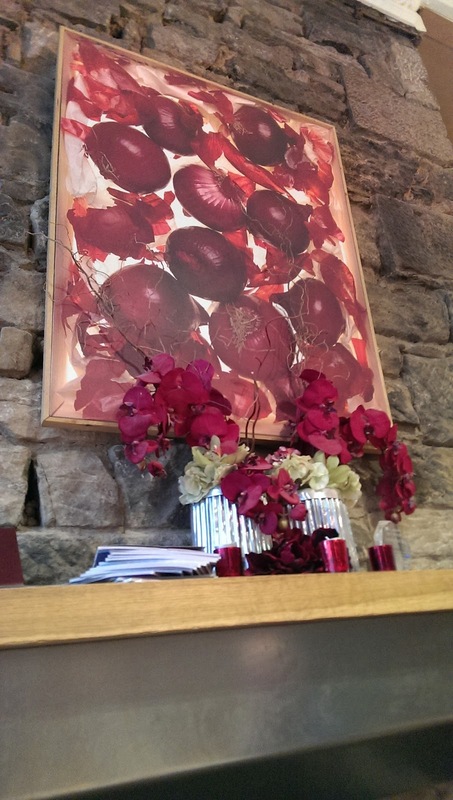 The main courses were cooked to a high standard, although were slightly different from what the menu described in the case of the Penne with chicken and chorizo (which is now off the constantly evolving menu). The sauce and combination was delicious; but there were so many large pieces of red and spring onion that it was the most prominent ingredient. Not an onion lover, I would have preferred this main ingredient to be listed on the menu next to the chicken and chorizo, so that I could have asked for it without it. So if there is something you really don't like, check if it's in there. The other main course we tried was the Steak frites with peppercorn sauce. This is the first time I have ever seen a restaurant serve the peppercorn sauce on top of the actual dish as opposed to in a jug on the side. The steak frites dish is great; but if you are getting this, make sure you ask for the peppercorn sauce seperately, otherwise you'll end up with very soggy fries. For dessert, we enjoyed the Hot chocolate brownie with vanilla ice-cream; which was very moreish and delicious. 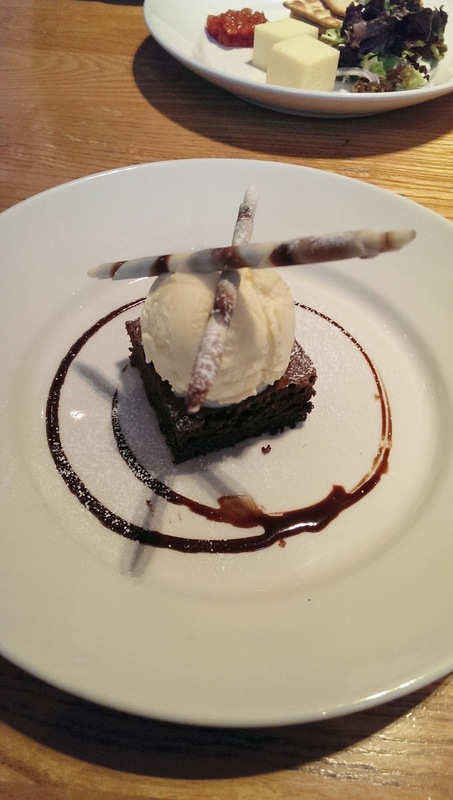 We particularly loved the thick creamy high standard ice-cream that came with it. 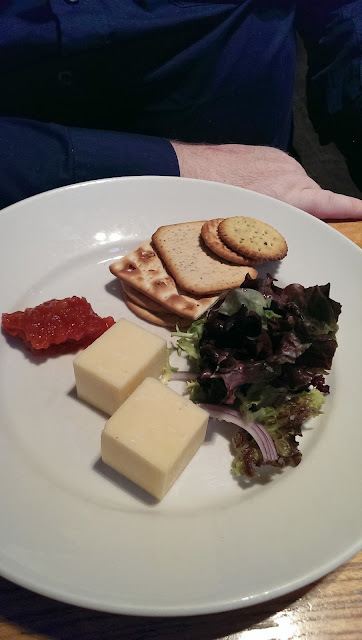 We also tried the Arran smoked cheddar with fruit chutney and crackers; which is an excellent dessert course for those with not that much of a sweet tooth. 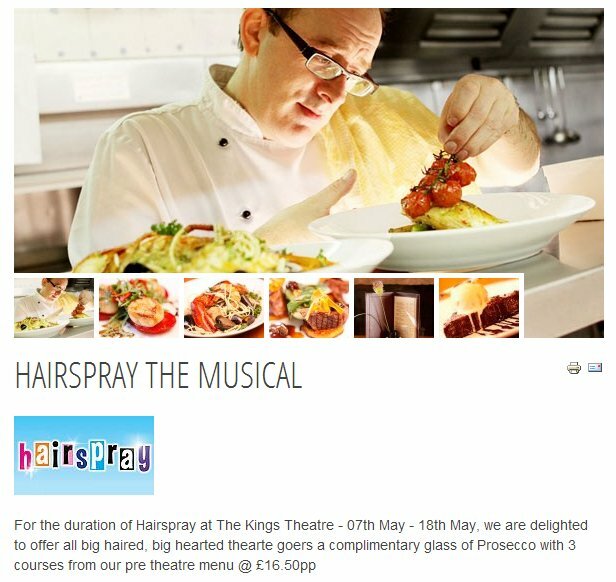 All in all, it is great value for £16.95; especially for Hairspray ticket holders who get the complimentary glass of prosecco. 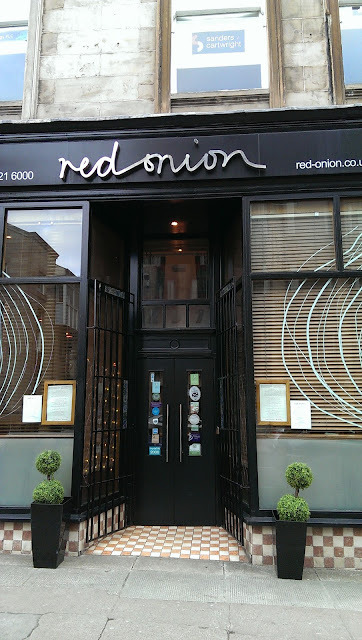 To book Red Onion, or view the menus, visit www.red-onion.co.uk.